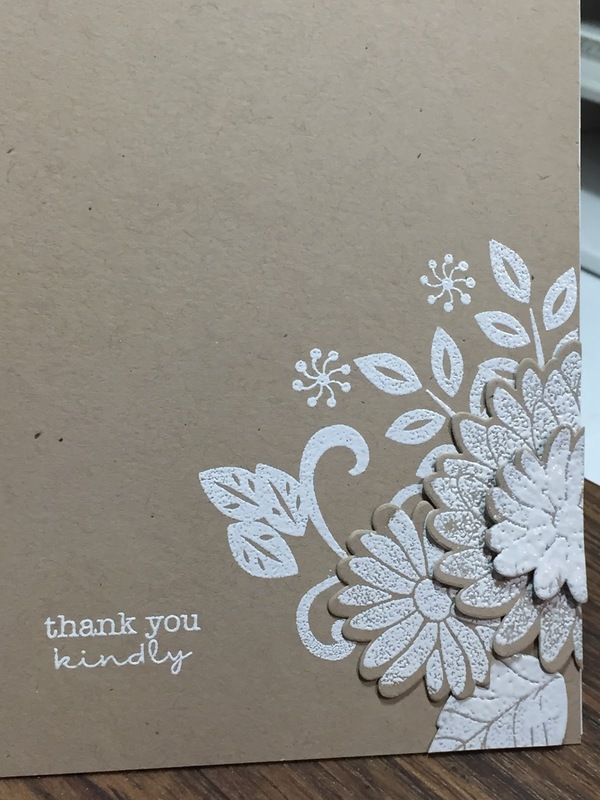 Had time for another kraft-on-white card because I just love two colors together on a card! 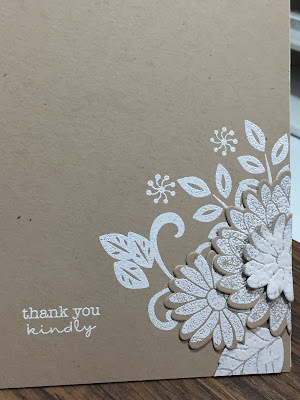 I used a Stampin Up set to stamp, emboss and die cut the flowers. The sentiment is from My Favorite Things. The card stock is from Gina K. Since this is a thank-you card, I plan to send it to one of the Houston first responders suggested by Sandy Allnock. Just a small way to give moral support to those great people who are giving so much to the victims of the hurricane. This is a perfect card with not so perfect photo. Maybe you should change the shot. Anyway good luck with our CAS-ual Fridays challenge! WOW, your card is gorgeous! Thanks for joining us at CAS-ual Fridays.